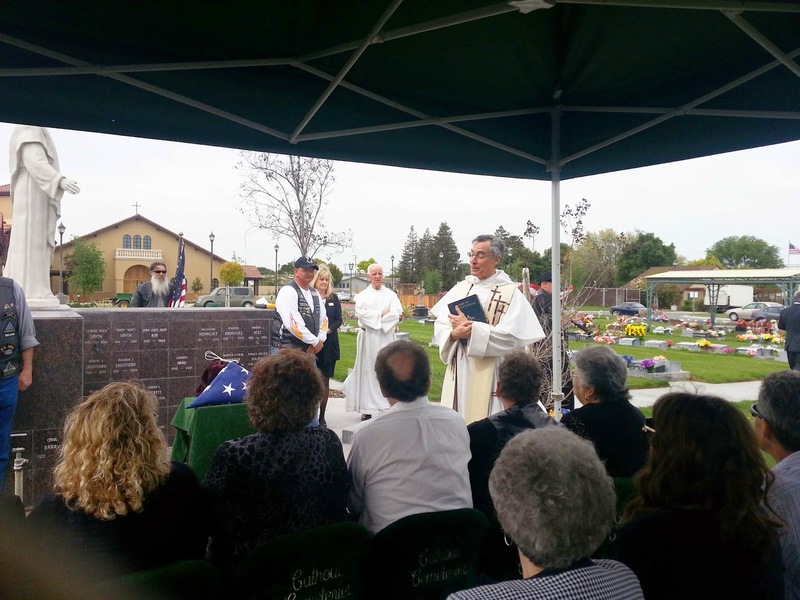 Brigadier General Warren J. Barry, CAP was buried this morning at Holy Cross Catholic Cemetery in Antioch, CA. 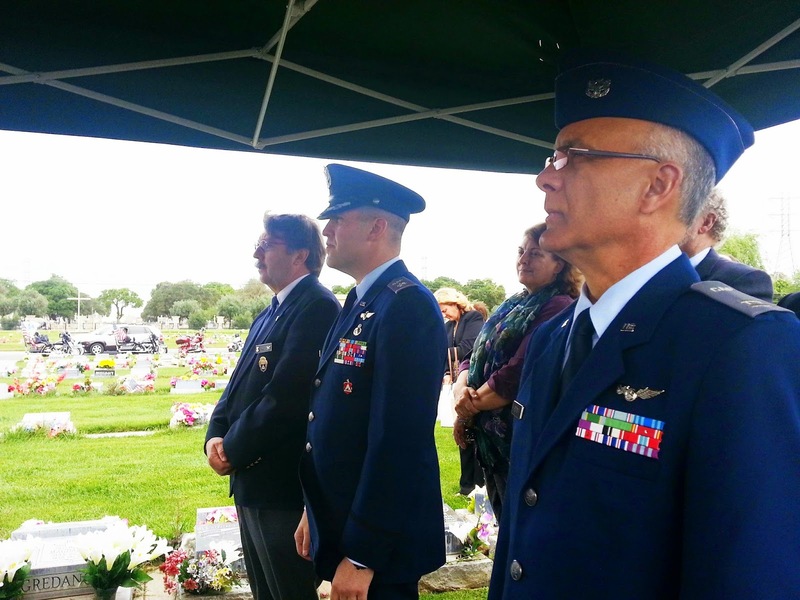 Brigadier Barry became a Civil Air Patrol (CAP) member in 1952 and after progressing through the ranks in California and Pacific Region, he became National Commander for the years 1990-1993. 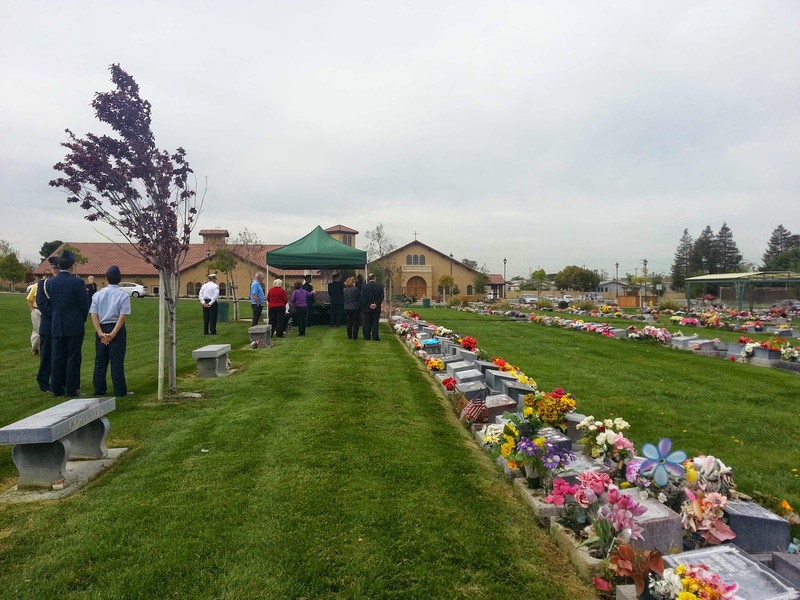 A mass was celebrated this morning at Holy Rosary Catholic Church in Antioch, were he was an usher and a respected parishioner for more than 50 years. National, Pacific Region, State and local members of CAP were present to give their respect and condolences to family members. 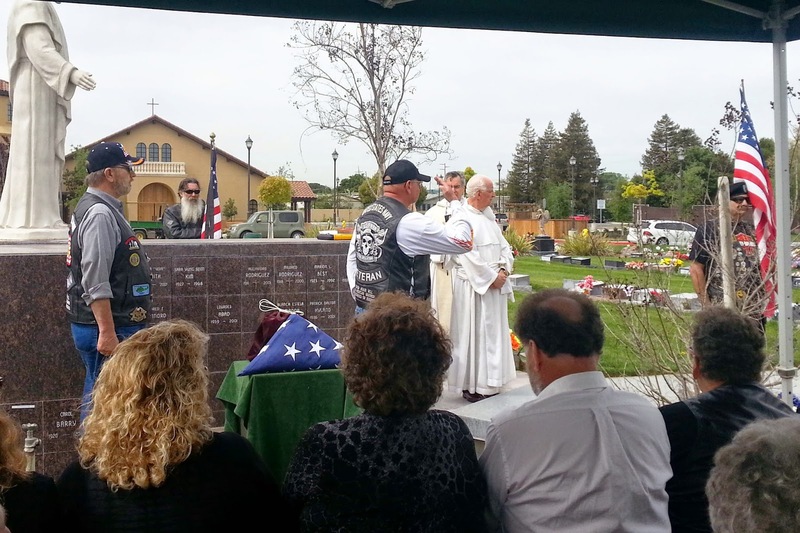 United States Armed Forces Veterans were present as well and accompanied the caravan carrying the ashes to Holy Cross Cemetery in their motorcycles. 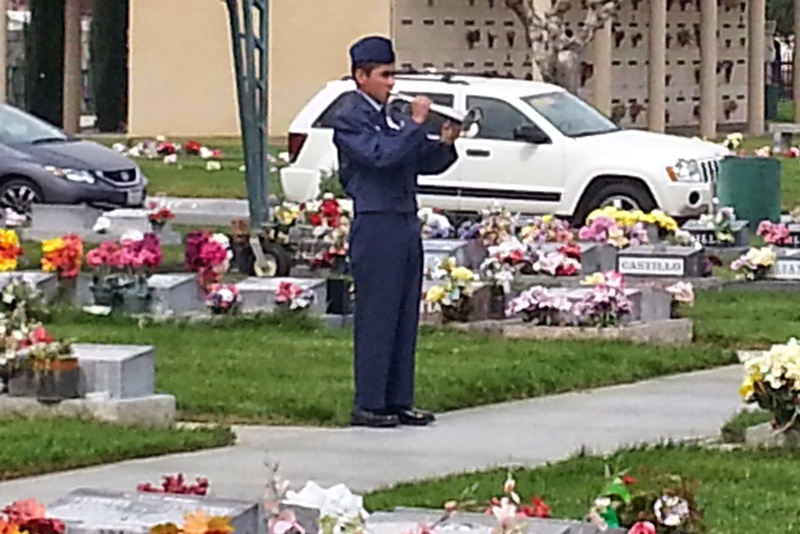 Cadet Rodriguez played Taps as everybody saluted.